When my child’s school started scanning fingerprints for lunch payments, I was opposed to the idea. But I like to be a pretty fair person so I weighed the pros and the cons. As it turns out, this could be a budding popular method of payment and there are actually quite a few perks involved. There isn’t a person on the planet who hasn’t lost their wallet, purse, or at least one credit card. Personally, I am well known for all of the above. One of the advantages of fingerprint payments is that it’s pretty hard to lose your finger. 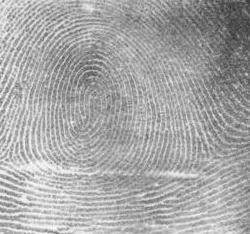 Even if someone did manage to take it from you in some unspeakable way, new fingerprint systems monitor for pulse as well as scanning the fingerprint. Another positive point is that identity theft is a lot easier to prove when you aren’t even in the same location. Let’s just assume that someone used some sort of technology to duplicate your fingerprint. They put it on their own finger, which obviously has a pulse. They make a purchase. You try to dispute it. If this had been a credit card and you weren’t in the same location as the purchase, your creditors might accuse you of lending it out in an effort to obtain the merchandise without having to pay for it. This is clearly an impossible task when you use fingerprints instead of credit cards. While there are plenty of pros when it comes to fingerprint payments, there are cons as well. How you look at each depends a great deal on how you view the financial and governmental system, not to mention your own body. I have to admit, when I first heard of it at my son’s school I wondered how much he would hate me for allowing this if later on down the road he wanted to live “off the grid”. I don’t even like the idea of Social Security numbers. The idea of submitting my young child’s fingerprint to anyone was appalling to me. For me, the biggest downside of all to fingerprint payments is offering up unique personal information to any type of database. Another downside is the fact that every purchase you make will be recorded. Many people avoid keeping their money in banks due to identity theft and just the basic need for privacy when it comes to spending. If society went to a completely paperless method, no purchase could be made with privacy. As with any advance in technology, this one leaves us with a question of how much we want “the system” involved in our lives. There is a fine line to be crossed when we debate about how much privacy we are willing to trade for convenience. Where is your line? Previous PostHere comes the marriage fraudNext PostFoursquare Discounts or Four or More Opportunities for Identity Theft?